Our traditional hand beaten singing bowls are produced from a mix of metals and come complete with a turned wood Puja stick. Please note diameter, weight and thickness of the bowls will vary as this is a handmade product. Hand beaten bowls have a more complex and rich range of sounds than machine made bowls, but there is more of a knack to playing them! 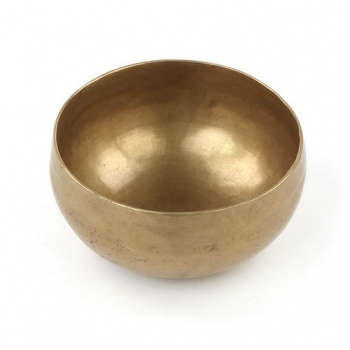 As all our hand beaten singing bowls are all unique, they are seperated into product codes by weight in 100g increments.